Cold weather makes us want to cozy up with a bowl of something warm. From rice bowls to noodle bowls to chili packed with winter vegetables, here are some of our favorite winter comfort foods. This fresh, vegetarian bowl is super healthy. This recipe combines pork and kale with an abundance of fresh herbs for a dish that's both hearty and delightfully fresh-tasting. Turkey replaces traditional beef in this warming chili. This outstanding, good-for-you vegetarian salad features an array of textures and flavors, from tender roasted squash to crunchy sprouts and creamy lebneh (Lebanese strained yogurt). 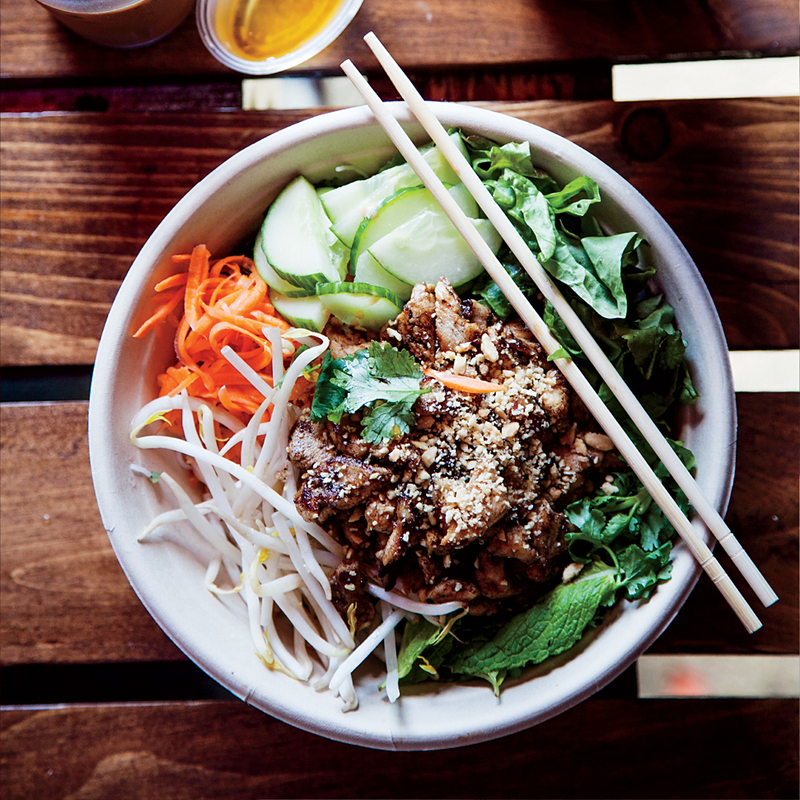 Asian flavors shine in this tasty noodle bowl. This gumbo is rich and toasty thanks to the dark roux. It's wonderful with oysters, shrimp and crab, but you can substitute what's good in your area: clams, for instance, or even chicken. This vegetable chili, thick with kidney beans and hominy (dried, hulled corn kernels), is deliciously smoky and spicy. This velvety chowder is thickened with a classic flour-and-butter roux. It's packed with plump oysters and tender fingerling potatoes, and there's a kick of heat from dried red chiles. We love this quick and fiery Thai-inspired curry, which is served over a bowl of shredded greens. Miso, tomato paste and chile-garlic make up the base of this tofu and egg rice bowl. We know pork cheeks aren’t typical, but they’re flavorful and succulent. If pork cheeks aren't available, pork shoulder (cut into 2-inch pieces) can be substituted. Not your traditional Russian borscht, this Eastern European cabbage soup is a great meal in a bowl. Traditional Korean cooking meets French technique in the elegant take on kalbi jim from chef Sohui Kim of The Good Fork in Brooklyn. Kim braises the short ribs slowly in red wine, instead of boiling them, for extra-tender meat and a rich, flavorful sauce. В интеренете нашел авторитетный web-сайт , он рассказывает про одежда для новорожденных украина.